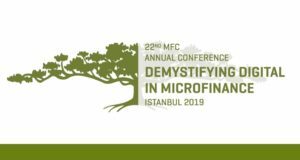 In the framework of the MFC-EMN Annual Conference 2018, the Microfinance Centre (MFC) and the European Microfinance Network (EMN) are launching a call for entrepreneurs with experience in the use of online tools and digital solutions to develop their businesses. Selected candidates will be invited to participate and share their experience during one of the workshops included in the conference agenda with full coverage of travel and accommodation expenses. MFC and EMN members are therefore strongly encouraged to disseminate this information to their clients to identify interested candidates who match the following criteria.